The Clarets are two points above the relegation zone with seven games remaining. Burnley missed a huge opportunity to give themselves breathing space above the bottom three after losing to a Leicester City side that played with ten men for almost the entirety of the contest. And it is a result that could come back to haunt them. About to become a two-horse race? With Huddersfield Town and Fulham effectively relegated, there are six teams separated by seven points who could all feasibly be relegated. Yet Newcastle United and Crystal Palace are experiencing great spells of form, Brighton have at least one game in hand on everyone in the relegation battle and even Southampton have picked up six points in their last three. 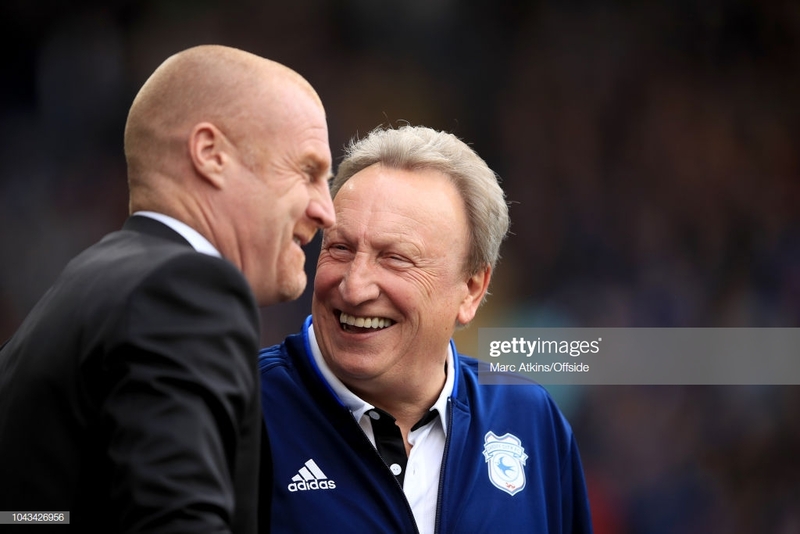 It looks increasingly likely that it could be a straight shootout between Burnley and Cardiff City, currently sparring for the last safety spot with the latter two points behind and boasting a game in hand. A look at the remaining fixtures for the two clubs suggests that one of the duo are likely to go down with very few winnable matches on offer. After the international break, Burnley will play four of the top seven before the end of the campaign. They begin with a tough tie against Wolves who have lost just one in six and knocked Manchester United out of the FA Cup this weekend. The Clarets also have to travel to Chelsea who, for all of their problems, have only lost one league game at Stamford Bridge this season. That game comes six days before they host title favourites Man City before rounding off their season with a trip to Everton and a home game against Arsenal. The latter could be looking to secure a Champions League place on the final day. The key for Burnley will be to get as many points as the board before that horrendous last quartet of fixtures. After Wolves, they travel to Bournemouth, not an easy place to visit. Eddie Howe's side have lost just four games at home, almost 300 miles from Turf Moor. But Saturday 13th April is a key date - a home tie against Cardiff who have just eight points from 14 away games. Could Cardiff's game in hand make the difference? The Bluebirds also have a tough quartet of fixtures but spread across the last few matchdays. They face both title challengers, host Chelsea in their next contest and will travel to Old Trafford on the last day of the season. Sunday 12th May could see Man United and Arsenal both still hunting a top four place whilst taking on Cardiff and Burnley bidding to stay alive in the Premier League. What an end to the season that would be. That Burnley fixture will be massive for Cardiff but they also still need to play three sides in the bottom half of the table. Fulham could be officially relegated by the time they meet at the end of April and they have a home game against Crystal Palace on the penultimate weekend of the season. Yet the key for Cardiff could be their rearranged fixture against Brighton. That extra game could make all the difference. Where will the points be won and lost?